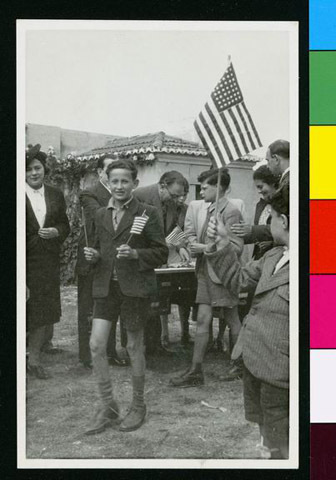 JDC - Archives : A happy refugee child walks away from the table after receiving his flags from General Troper. Title A happy refugee child walks away from the table after receiving his flags from General Troper. Description General Troper of the JDC is handing out American flags to French refugee children to celebrate before their voyage across the Atlantic to America.